Even if you know you want hardwood floors, there are a lot of different types to choose from. 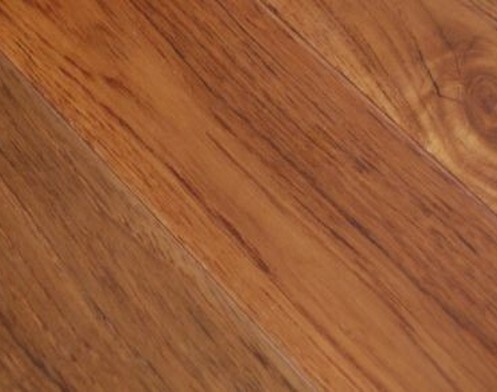 At San Jose Hardwood Floors, we want to make sure you understand the distinctions between solid wood and engineered hardwood flooring so you can make an informed decision. Although they make look similar beneath your feet, there are important differences to note. Solid hardwood floors are made from planks of a single piece of solid wood, typically 3/4 inches thick. This is an excellent choice in most areas of a home on the ground level or above. A thicker surface layer, which means the wood is more durable. Should dents and scratches appear, solid hardwood floors can be sanded and refinished over and over again. A lot of value, should you choose to sell your home at some point down the road. A wide range of finishes, stains and colors, allowing the homeowner to customize the floor to their personal style. They're susceptible to expansion and contraction with moisture, so you shouldn't install it in bathrooms or basements, and you need to be careful if you do use it in the kitchen. They can buckle and cup in areas with high humidity or when used over radiant floor heating. Gaps between the planks are common as well. 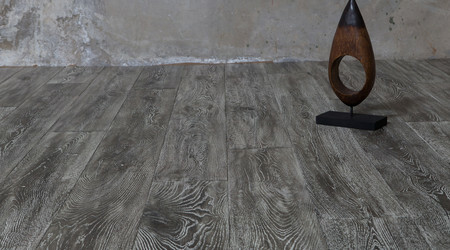 They aren't available in as many different widths as engineered hardwood flooring. Installation tends to be more expensive. Available in 3 through 8 ply and with wear layers available in 1.5 mm through 10 mm, engineered hardwood flooring is made by gluing finished wood on top of less expensive, stronger wood layers pressed together with the grains running in different directions. Because the pieces of plywood are stacked in opposite directions, engineered hardwood flooring is actually more stable than solid wood, so they can withstand moisture, humidity and temperature changes without as much expansion and contraction. They work well in heavy traffic areas that are exposed to some moisture or humidity like basements, kitchens, powder rooms and utility rooms. Installation tends to be less expensive than solid wood. They’re available in a wide variety of widths. The planks themselves can be more expensive than solid hardwood floors. Because the top surface is thinner, they can't be refinished more than once or twice. As you select the thickness, make sure you get veneer that is at least 2mm thick so you have the option to sand and refinish sometime in the future. Be aware of the quality of the glue used to hold the layers together. Cheaper ones generally emit more VOCs (specifically formaldehyde), so look for those that are E1 or E0 class or CARB-compliant. Whether you're interested in engineered or solid wood, we are happy to help! Contact us or visit our showroom to find out more about the various types of flooring options available for your home.